The Department of Otolaryngology began in 1895 as a purely clinical activity. As of 2016, the department has over 40 full time faculty members, representing all of the subspecialties of otolaryngology. While the primary mission continues to be providing high quality patient care, we are additionally dedicated to advancing education and research within the field of otolaryngology. We educate on every level from pre-medical to advanced fellowship training. Teaching has been a priority since the University of Pittsburgh School of Medicine became affiliated with the Department of Otolaryngology in 1909. In 1934, the department was nationally recognized by the American Board of Otolaryngology as an accredited training program for resident physicians. Since that time, the department has trained hundreds of residents and fellows, many of whom hold leadership positions in Universities throughout the world. Since Dr. Eugene Myers became chairman of the department in 1972, a robust research initiative was established. 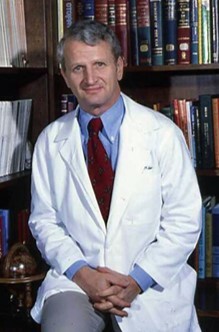 Beginning with a Mellon Foundation grant in 1970’s, the department is currently ranked third amongst otolaryngology programs in funding including two NIH P50 grants (SPORE and Middle Ear Pressure Regulation in Health and Disease), two NIH T32 training grants, six NIH R01 grants, amongst many others. The goal of the Department of Otolaryngology at the University of Pittsburgh School of Medicine is to continue to be a center of excellence for otolaryngology by providing high quality, state-of-the-art patient care, education and research delivered in the most efficient and effective manner. Learn more about the department's history here.